Nespresso is kicking off a “new era” of advertising focusing on “sustainability”, with long-time ambassador George Clooney taking a back seat to the real faces of the 70,000 farmers who supply the coffee pod giant. 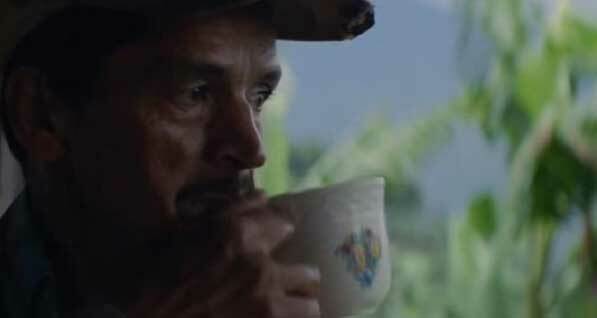 ITS NEW AD, ‘The Choices We Make’, narrated by Clooney, is a marked shift away from the brand’s usual theme of premium exclusivity, instead profiling Colombian coffee farmer Humberto and highlighting Nespresso’s investment in local coffee-growing communities. It comes as the company, which created the disposable coffee pod category in the late ‘90s, faces growing pressure from environmental groups over coffee pod waste and competition in the form of biodegradable alternatives. “Consumers want more and more to know that the brands they buy are sustainable and the companies they buy from are doing the right thing,” said Loic Rethore, head of Oceania for Nespresso. Rethore said while George Clooney would still be “part of our ecosystem”, the company had chosen to focus on what was happening in the countries of origin. “There won’t be only one face, because there are so many people impacted by the choices Nespresso has made,” he said. Australians churn through an estimated three million fresh ground coffee pods every day and around one third of consumers own a machine, according to market research firm Euromonitor, which forecasts revenue from coffee pod sales to grow by 13 per cent a year for the next five years — the strongest growth of all coffee categories. “However … the popularity of fresh ground coffee pods may be challenged by environmental concerns about their disposal,” Euromonitor analyst Sara Agostino writes. DESPITE billions of used coffee pods causing an environmental headache around the world, Nespresso is standing by aluminium. Last year, former Nespresso chief executive, Jean-Paul Gaillard, warned the coffee pods could be contributing to a global environmental disaster, with billions of aluminium capsules ending up in landfills across the world each year. “People shouldn’t sacrifice the environment for convenience,” he said. Gaillard is now the head of Ethical Coffee Company, a rival which makes fully biodegradable coffee capsules that break down within eight months. “Competition is very natural, when a company starts to be successful it’s very normal, and different companies position themselves in different ways,” Rethore said. “We really believe at Nespresso that aluminium at this stage is the best material that combines two sets of qualities. First, it’s the best material to preserve the precious aromas of our coffees, and second, it’s infinitely recyclable. In Australia, Nespresso has introduced four ways for consumers to return their used pods, which are recycled at a dedicated plant in Nowra. “You can post your used capsules through our Australia Post satchels, we’re talking about almost 20,000 points of recycling across Australia,” Rethore said. Nespresso refuses to disclose recycling figures, as they can be used to infer sales data, but Rethore said the “early signs” were “quite positive”. “It’s very early because we just relaunched recycling last year,” he said. “We have focused so much effort and resources to make this happen. In terms of measurement, we have not yet established a baseline. Nestle holds 11.7 per cent market share of Australia’s $5.6-billion tea, coffee and other food manufacturing industry, according to IBISWorld, with revenue of $633.4-million in 2016, up 4 per cent on the previous year. The market research firm says while Nestle’s revenue growth has underperformed the overall sector over the past five years as health-conscious consumers turn away from prepared meals, the rapidly growing Nespresso brand has offset declines in other areas of the business. The new Nespresso ad already has some 7,5m YouTube views. October 12, 2017: Fresh ground coffee pods remain not only the fastest-growing category of coffee, but of hot drinks in general. However, market maturity, high prices, intellectual property battles and sustainability concerns have started to cause this category to lose its lustre, reports Euromonitor International.